There is no power on earth that could stop me from watching a movie which begins like this. Raakhee as a vengeful dacoit?! Removing her bangles?! It just has to be awesome. I have a severe weakness for daku-dramas as it is, but toss in a girl gone bad (especially if it is Raakhee!) and I am even happier. Plus there are subtitles, although they are unreadable about fifty percent of the time. Female kickassery, a strong moral center and plenty of plot twists enable me to say that this film basically delivers on its promise. I’ve said on these pages many times that actors in Hindi cinema become like family after you watch enough films over the years. The same faces, essentially playing the same roles…eventually you wake up one day and realize that they are as familiar to you as the people you grew up with (well, many of you DID grow up with them, you lucky souls!). 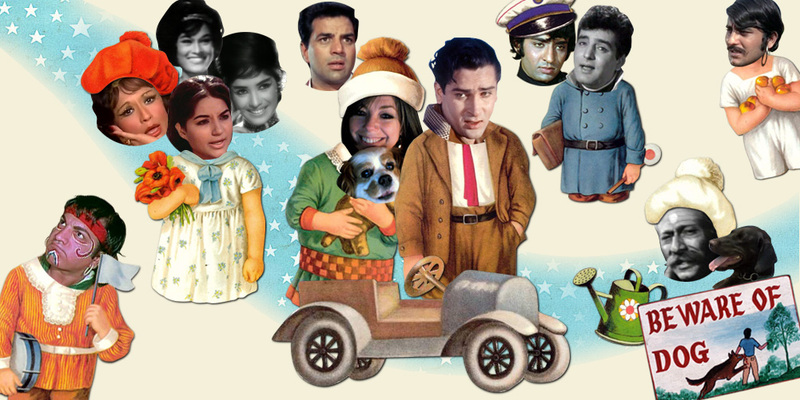 Anyway, I got to thinking the other day about what a Memsaab family photo might look like. Who would be in it, who would be cropped out. Of course, I would be at the center of it: me and my beloved Shammi, and little Gemma too—probably trying to lick Shammi’s hand. Sisters Laxmi Chhaya, Kumari Naaz, Bela Bose, and didi Helen would flank us, completely overdressed for the occasion. Moody and unstable brother Shyam Kumar would be off to the side, so that we could easily trim him out should he really go over the edge one day. Naughty-boy neighbors Ranjeet and Feroz Khan would lurk nearby, waiting for Shammi to turn his back so they could wink at me and maybe cop a feel. 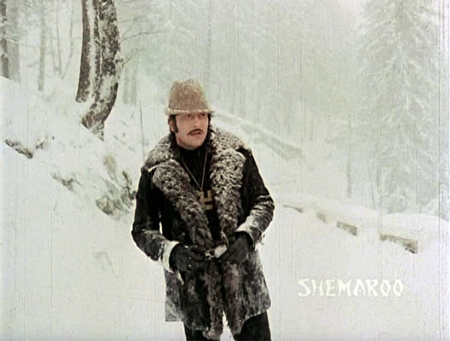 Faithful family retainer Nazir Kashmiri would water flowers with the “help” of dog Moti; but horses Raja and Badal would be absent, off grazing in the meadow and keeping an eye out for that rascal dacoit Vinod Khanna, who is constantly trying to kidnap me. 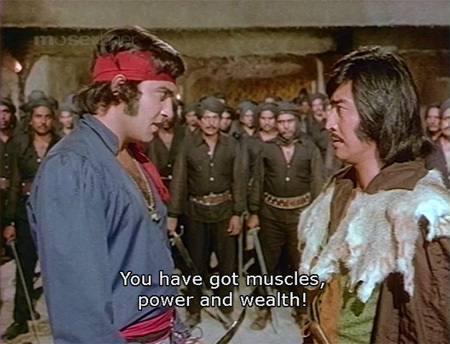 Which is why Shammi hired Dharmendra as my bodyguard (he’s trusting, is my Shammi).